Drinking tea has been spread beyond the region of today’s China since the 6th century. Today it is a global phenomenon and cannot be claimed anymore as something specifically Chinese. 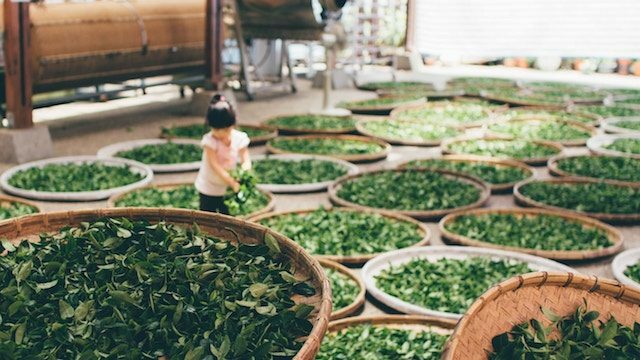 However, Chinese tea influenced the way in which many people on the globe handle tea and profit from its benefits. The tea about which we talk here is Camellia sinensis (L.) Kuntze, the „Chinese tea“, which is known by Chinese herbologists as a healing plant and as a natural stimulant. 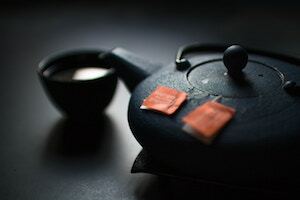 Traditional Chinese Medicine describes tea as a home remedy or medicine, but also warns about not to overuse tea, which is seen as similar to other stimulants as e.g. alcohol, hot spices or narcotic drugs. While tea has got healing properties, e.g. reducing fatigue after traveling or easing flatulences, it can also devitalize the drinker, because it reduces yang energy. This apparent contradiction is not unknown to people interested in Daoist teachings, which state that Yin and Yang should be harmonized, but at the same time concede that there is not any eternal wonder drug to achieve this. Apart form this healing aspect, also healthy people brew their tea in China up until today like in ancient times: with boiling hot water – or as a variant with slightly cooled down drinking water. While the appearance of the infusions may vary from white over yellow, light or dark green to light or dark brown or even almost black – all teas have one common quality: you drink the tea fluid, which is separated from the leaves, to relax, to ground yourself, to feel good. An important side effect is the enjoyable concentration and alertness, a reviving quality of the tea, which one often perceives. References: Mulian Lin (editor), 台灣的茶葉 (Tee von Taiwan), Taipei/Taiwan 2009 (ISBN 978-986-6731-43-3).